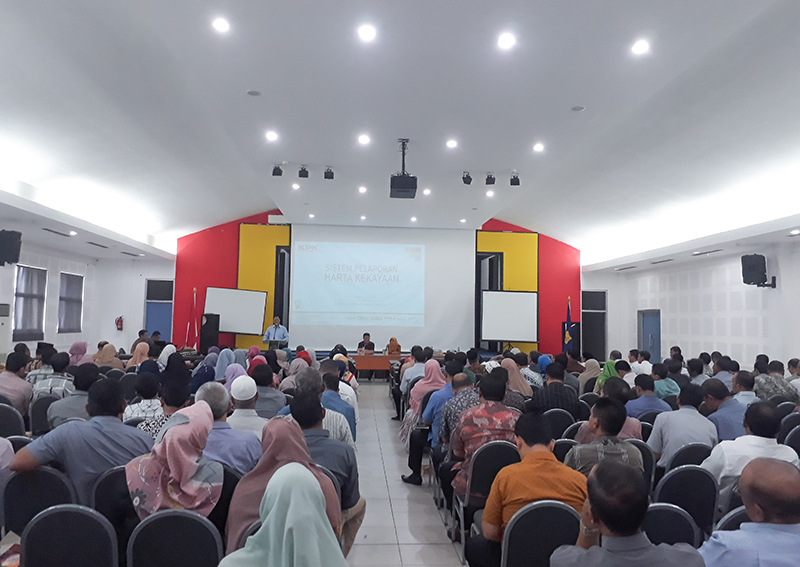 The Corruption Eradication Commission (KPK) held a socialization of electronic charging procedures for the State Asset Management Report (e-LHKPN) for internal circles of Syiah Kuala University, Banda Aceh. This activity took place at Auditorium FKIP Unsyiah on Wednesday (7/11). Vice Rector of Unsyiah for Administration and Finance, Dr. Ir. Agussabti, M.Si., said that this activity provides an opportunity for Unsyiah's civitas to know how the reporting of wealth is usually done manually to electronic system. He hopes this activity can provide new knowledge as well as foster awareness of the reporting of assets which is a liability.